6 piece set consists of mask, snorkel, goggle, ear plugs, swim safe box and mesh bag Great gi.. Kids size set consisting of fins, mask and snorkel Packed in handy kids backpack This item is.. 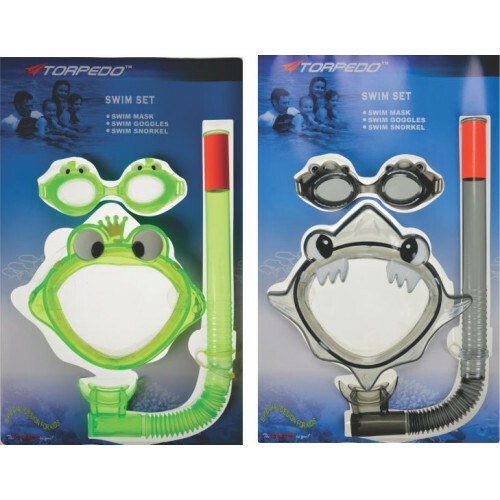 Kids size set consisting of fins, mask and snorkel Packed in handy mesh bag This ite..